Sue Bivins landed her first management position in the 1970s when women simply weren’t employed in leadership roles. When one employee refused to acknowledge her as his manager, and then she was laughed at by an executive, she learned one of the most valuable lessons of her career: Do your job and do it better than anyone else! With that nugget of wisdom in her arsenal, she embarked on an impressive career in project and portfolio management across several IT companies including IBM and Hitachi. In this podcast, Sue speaks with Elise Stevens about some of the most rewarding and challenging projects of her career, including managing operations and support for IBM during the Los Angeles 1984 Olympics. As she explains, when you have two billion people relying on the system to work, you can’t let anything fail. Project managers can do all the right things and still get a bad outcome. Even with good process, a bad outcome is often the unfortunate reality of an uncertain industry. Successful project managers have a well-conceived vision of what needs to be done and why. All projects introduce change, and require a focus on changing people’s hearts and minds. Decisions shouldn’t always be made by the loudest person in the room. Effective decision making is a crucial part of project management that is often overlooked. It can be easy to lose sight of the business objectives when the focus is on scheduling and costs. Sometimes a project manager will need to hold the sponsor or senior executive to task and ensure they stay focused on the business objectives. A jointly developed value proposition is important when working on multi-company projects. Sue Bivins has more than 25 years of management and leadership experience, delivering successful information technology projects and portfolios, change management and professional consulting for global corporations. She managed complex projects and a strategic transformational change program for IBM, before leading multi-company joint initiatives with Hitachi, Microsoft and Sun Microsystems and serving as the Director of Project Management for Habitat for Humanity International. 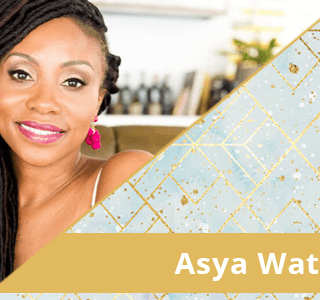 She is the co-author of Mastering Project Portfolio Management. You can connect with Sue on LinkedIn here. ARE YOU READY TO START THINKING BIG? Are you ready to start thinking BIG about your role and the importance of the PMO to drive IMPACT? 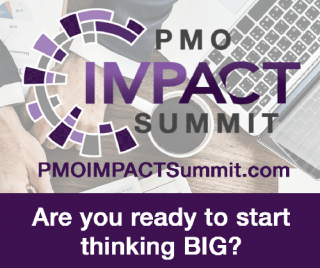 I am excited to announce the PMO IMPACT Summit. 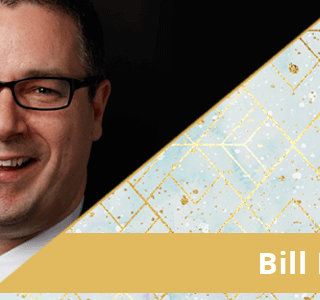 For two weeks beginning September 10th, myself and many other industry experts will come together to help ensure that you as a PMO leader are positioned to THRIVE, not simply survive, as you build and run your PMOs. Our goal is to empower you with our best techniques to ensure that your PMO is a key driver of IMPACT realization in your organization and that business leaders understand and value the contributions of the PMO. Effective business driven PMOs enable organisations to deliver LASTING change! PMO team members require a diverse skill set and mindset to facilitate these changes, and to THRIVE in the modern industry. This interview will help you MASTER the skills that business driven PMOs require. We will also discuss why PMOs offers fantastic career opportunities for WOMEN in the modern age.